The golf-ball exercise is an easy way to get a $100 hand/foot reflexology treatment for less than one dollar. If you want to live a healthier life but do not know where to begin, the following are some hints to help you get started. Go through your cleaning supplies, body products and cosmetics, and replace all the toxic chemicals with natural products. Filter your tap water, especially from chlorine and fluoride, which are dangerous and toxic. Eat as much organic produce as you can. Pesticides on produce are a leading cause of illness, but local farmers’ markets and grocery stores do sell organic products that are free of pesticides. Chew your food thoroughly before swallowing. The medicinal and nutritional value from our food is most often locked within the fibrous portions and only released by thoroughly pulverizing our food. Allot time every day to simply move, walk, stretch, play a sport, work out — anything. With movement, our circulation is increased, fluids move and our organs are massaged. When you wake up, take a few minutes to think about anything in your life that brings you happiness — someone you love, a happy moment, things that fill you with good feelings. Be aware of how you feel, check in with yourself and do a self-assessment several times a day. Do what your body is asking for. If you need rest, water or to stretch tight muscles, do it. When you are feeling down, do something nice for yourself and appreciate yourself. Then try doing something nice for someone else. The golf-ball exercise is an easy way to get a $100 hand/foot reflexology treatment for less than one dollar. It will give your entire body and organs a healing treatment. Do this once a day and you will be a lot healthier. Get yourself a golf ball. Brace yourself against a wall, chair or table. Starting with one foot at a time, step on the golf ball and press down until you feel all those painful, sore spots. Roll your foot over the golf ball, digging into those spots until they become a little less painful. Do the entire bottom of one foot, then do the other foot. 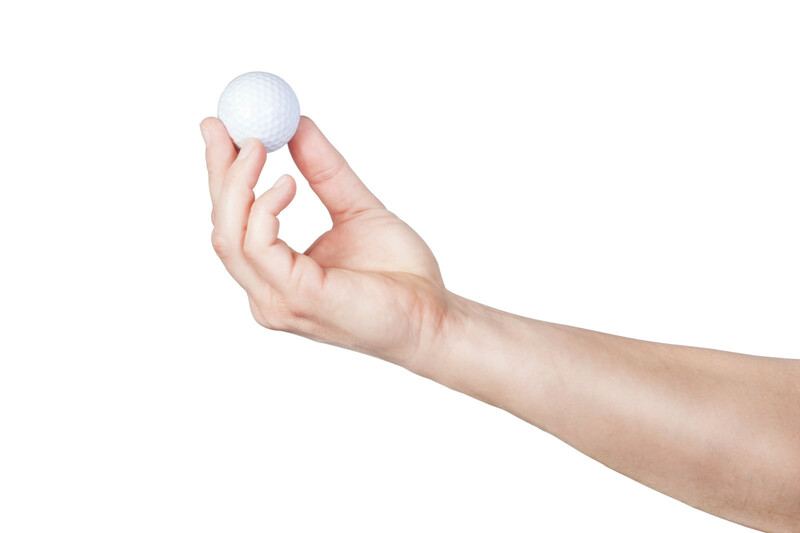 When finished, put the golf ball on a tabletop and place the palm of your hand on top of the golf ball. Press down into all the painful areas of your palm, rolling them out until the pain decreases. Holly Reese is a California board-licensed acupuncturist and herbalist, and founder of the Inspire Wellness Center. She is a certified personal trainer and martial arts instructor. She is the author of Rising from the Abyss: My Journey Into and Out of Chronic Illness. hollyreeselac.com.